Do you like original puzzles and with which you can play after mounting them? 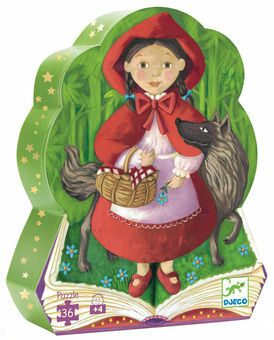 Look at this story from Little Red Riding Hood: the puzzle is formed with 36 pieces and, once finished, you can begin to dream in the wonderful world of stories. It comes in a beautiful box that will decorate your room in a very original way!